The market has traded mostly sideways for the last week with no material change in direction. The S&P has traded in roughly a 100-point range between 2600-2700 for the last month. 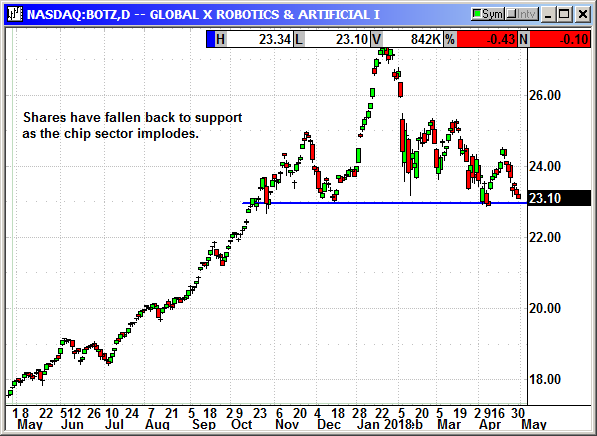 On just two days the index dipped slightly lower or pushed slightly higher from that range and each time the move was brief. The S&P closed at 2,648 on Monday and dead center in that range. There is no conviction by either buyers or sellers. However, volume accelerated on Monday to nearly 7 billion shares and a potential omen of things to come. When you want to know market direction, watch the market direction when volume rises. The S&P is in a three-month downtrend and the next test of the 200-day average could end badly. That was strong support on the last market decline. 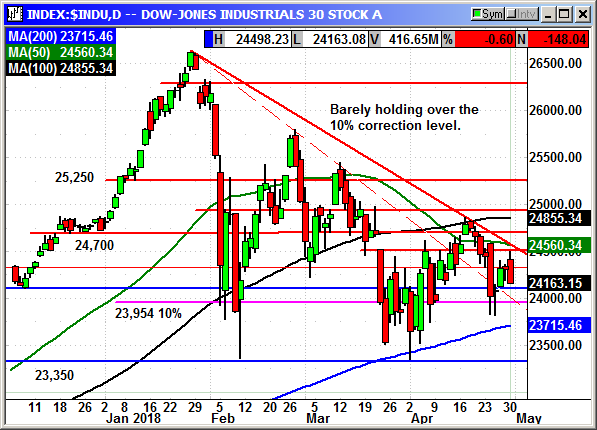 The 2,675 level has been strong resistance for the last month and it is back in play again with three consecutive failures at that level. 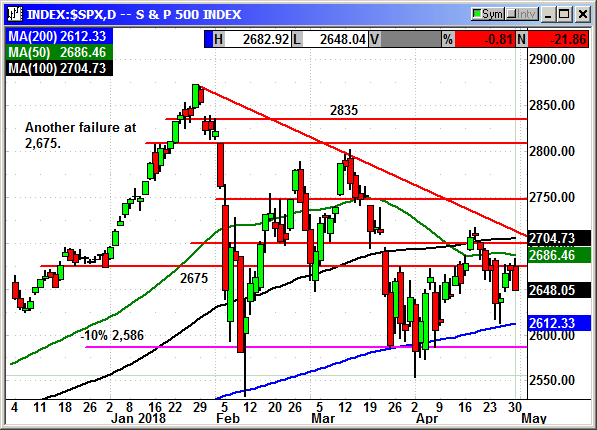 Should the market rebound we are not in reasonably safe territory until the index closed back over 2,750 and even then there is strong resistance between there and 2,800. The Dow is also struggling despite strong earnings from multiple components. 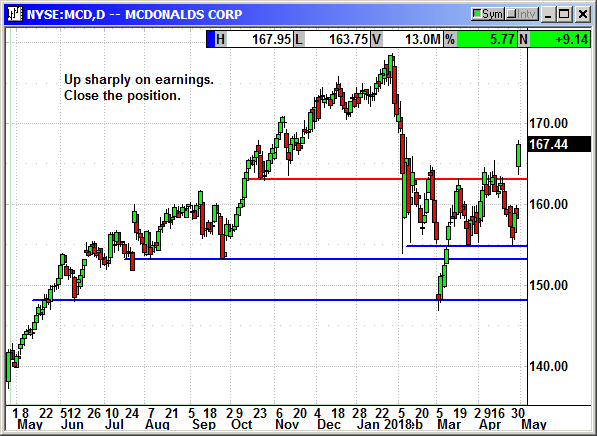 Today, McDonald's posted strong results and added 63 Dow points but that did not prevent the index from crashing from a +185 point high to close with a -148 point loss. 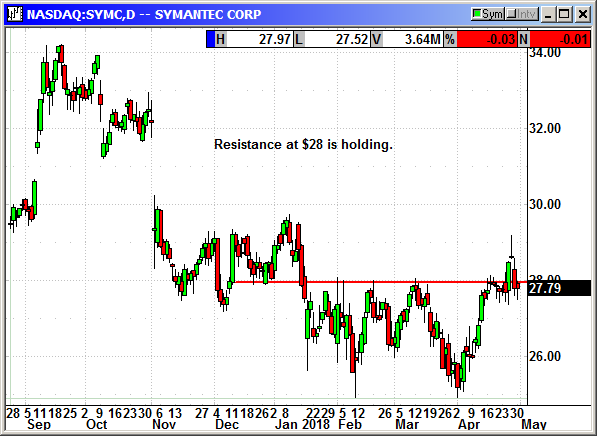 The 24,500 level is strong resistance and the 10% decline level at 23,854 was support last week. 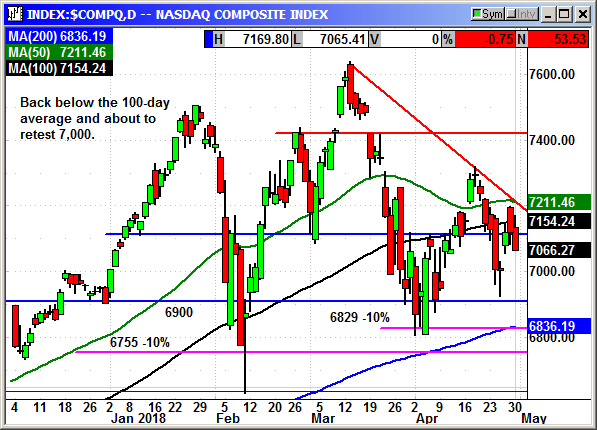 The Nasdaq big caps have lost their momentum. 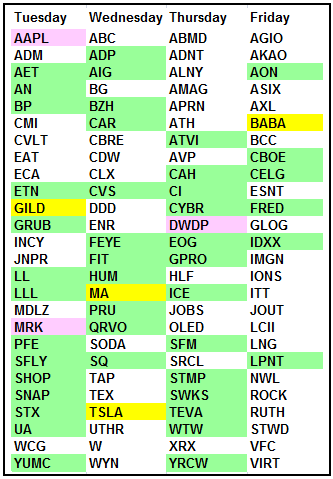 Despite strong earnings from nearly every component are are trading lower than the day after they reported. Most were met with opening spikes that sold off and then turned into a multi day decline. 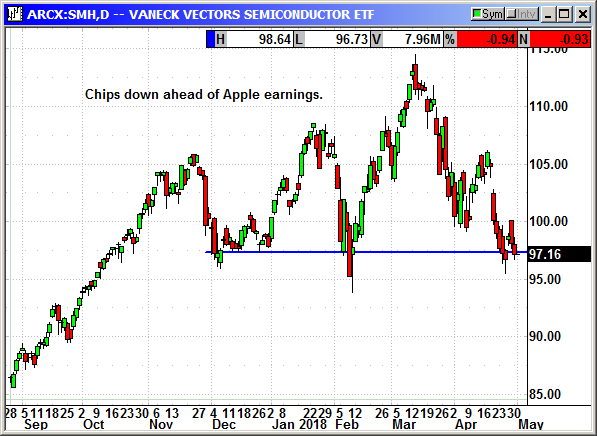 Apple reports on Tuesday and the chip sector has fallen back to support ahead of that event. Apple could make or break the tech sector this week. 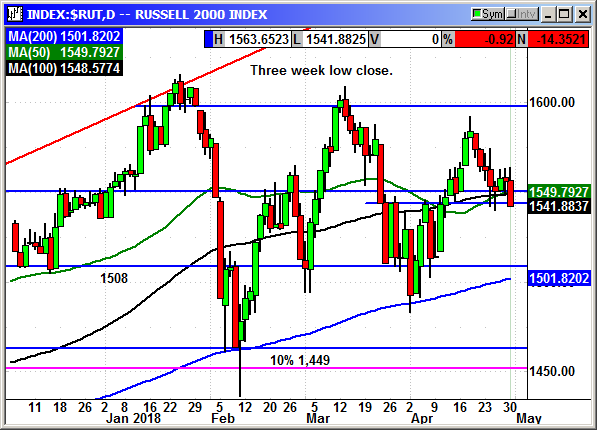 The Russell tried to break out of its rut and lead through the tariff crisis but that leadership has failed. The index closed at a three-week low on Monday. This is payroll week and expectations remain subdued at a gain of 200,000 jobs after a sharp decline in March to 103,000. Everyone believes the March number was weather related since there were 4 Northeasters back to back that kept people indoors. Unless there is a material miss of the estimates, it should not change the Fed's rate outlook. The FOMC meets this week to decide monetary policy and they are not expected to hike rates. 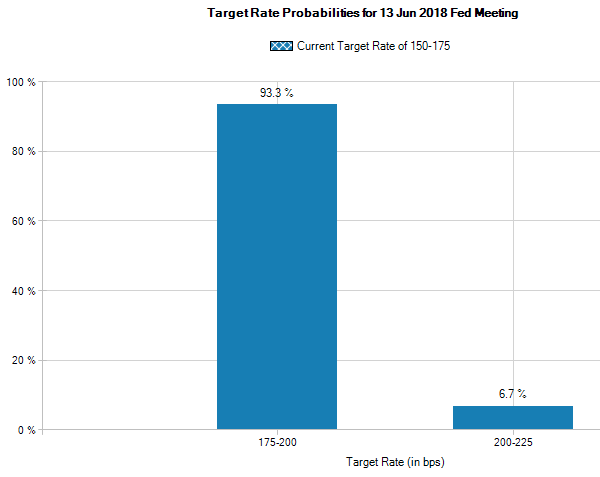 There is a 93.3% chance of no hike at this meeting and a 100% chance at the June meeting according to the Fed funds futures. 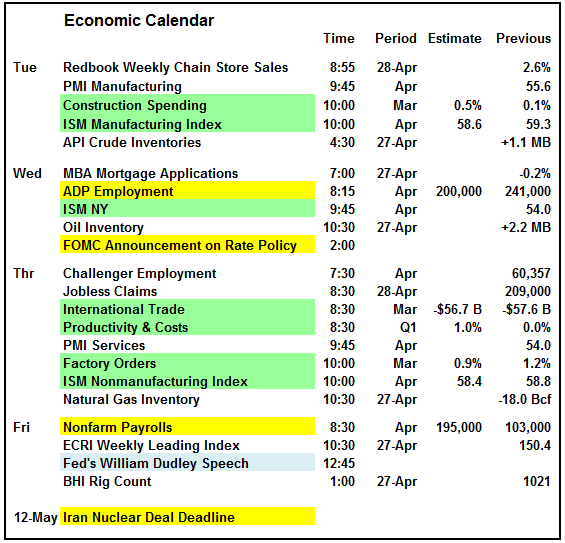 Both ISM reports are this week but unless they are big misses, they will be ignored in favor of the strong earnings calendar. 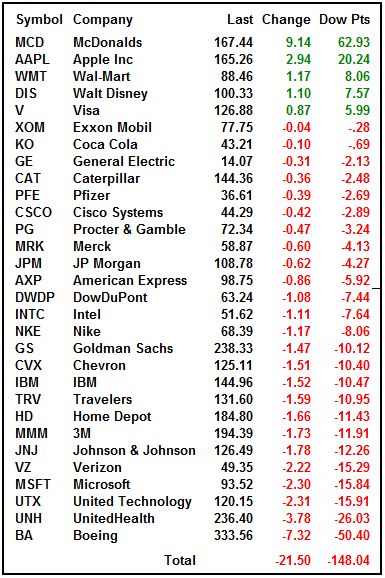 Some 143 S&P companies including three Dow components report earnings. Apple will be the most watched event on Tuesday with estimates all over the place and a big possibility of a major surprise. With everyone downgrading them, an earnings miss would not be a material surprise. An earnings beat and confirmation of guidance would be a major shock and a monster short squeeze could appear. With Tesla hovering at $300 and Elon Musk saying they will not need to raise cash and could be cash flow positive soon, this will be an interesting report. There could be fireworks. The headline that sent the market lower on Monday was the revelation by Israel that they had recovered a massive amount of intelligence on the active Iranian nuclear program. By revealing this information to the world it puts a lot of pressure on President Trump to withdraw from the Obama nuclear deal. Iran has promised hostility and unexpected events if the U.S. pulls out. This could cause military events, cyber attacks, terrorist attacks and any number of events around the world that will eventually be traced back to Iran. If Trump is pushed, bad things could happen and the market declined on the potential risk. This could be a long term weight on the market. I would continue to recommend that investors refrain from adding long positions until the market actually picks a direction. I did not recommend a new play this week because there is no market direction. Be patient and a direction will eventually appear. No New Play. The market is sick. 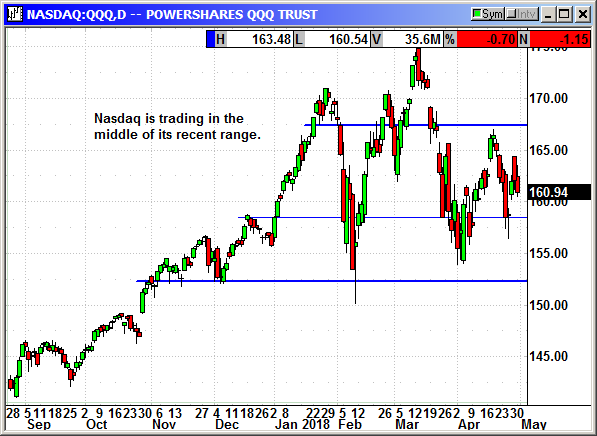 We could be on the verge of a retest of the April lows. There is no reason to just keep adding new positions in hopes a rebound appears. Once we do find a bottom there will be plenty of time to add new plays. Analysts are still targeting 2850-3000 for year end. We just have to get past this period of uncertainty first. 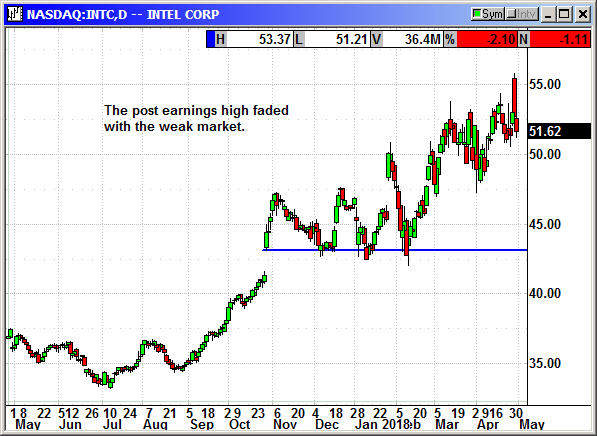 The chip sector continued to decline and the June option has fallen to 5 cents. We are only $3 OTM and any rebound in the market will be led by the chip stocks. 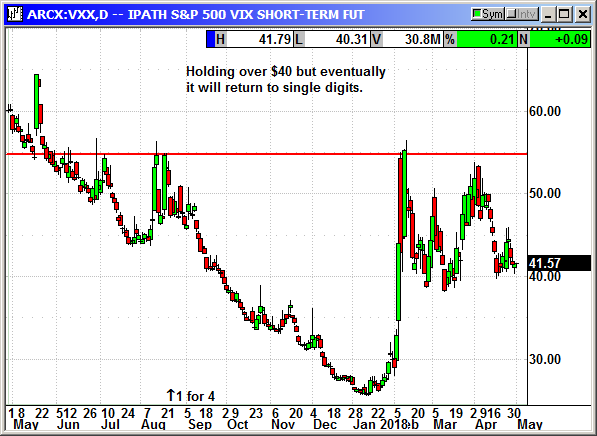 I am recommending we buy 3 additional contracts at 5 cents. That will make our average cost 26 cents and we should be able to exit for at least a breakeven if not a gain on any material market recovery. 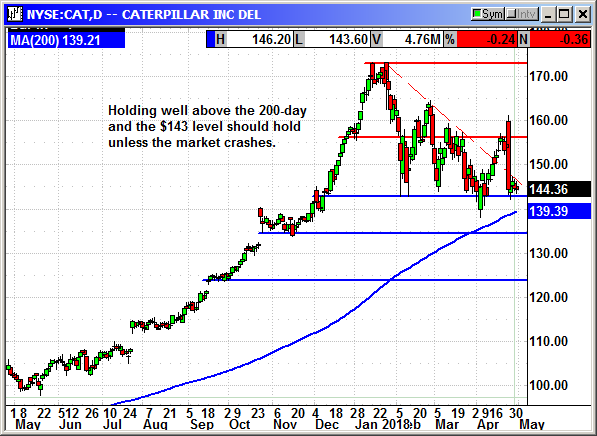 Caterpillar was the poster child for blowout earnings and investing their cash in the business. The yellow metal maker reported earnings of $2.82 that rose 120% on a 31% rise in revenue to $12.86 billion and they raised guidance. Analysts were expecting $2.11 and $11.58 billion. Everything was great with the stock spiking 4.5% on the news. Unfortunately, on the conference call the CEO said "operating margins would be lower for the rest of 2018 because of targeted investments to continue expanding their offerings and services, consistent with our strategy for long term growth." Investors should have been cheering. Instead, shares immediately crashed from the $161 high to close at $144. I am sure the CEO meant well but his case of foot in mouth disease cost his shareholders $10 billion in lost market cap. Shares are holding at support at $143. 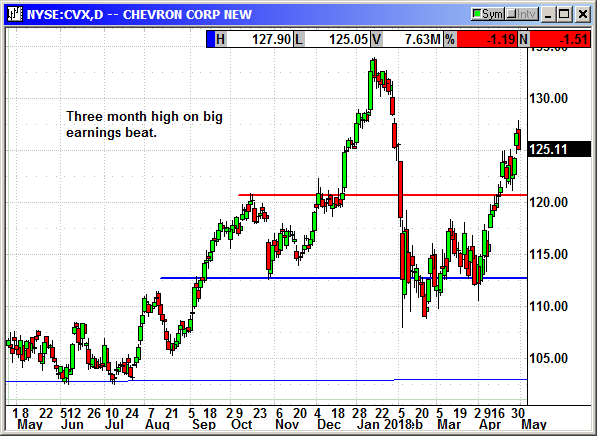 On Friday, Chevron reported earnings of $1.90 that blew away estimates for $1.48. However, revenue of $37.76 billion missed estimates for $40.97 billion. Production rose 7% to 2.9 million Boepd. Shares spiked to a three-month high on the news. Intel spiked to a new high after reporting earnings of 87 cents that beat estimates for 72 cents. Revenue of $16.07 billion beat estimates for $16.3 billion. Data center revenue rose 24% to $5.2 billion. They guided for full year earnings of $3.85 and revenue of $67.5 billion. Shares spiked 6.4% but faded in the weak market. McDonald's reported earnings of $1.79 compared to estimates for $1.67. Revenue was $5.14 billion and beat estimates for $4.97 billion. Global same store sales rose 5.5% compared to estimates for a 3.6% rise. US same store sales rose 2.9% and matched estimates. This is a May option so I am recommending we close the position. Same store sales in the last quarter rose 5.5%, which is unheard of for a fast food chain the size of McDonalds. The CEO said, "We're building a better McDonald's and more customers are noticing. Our relentless commitment to running great restaurants and keeping the customer at the center of everything we do is generating broad-based strength and momentum across our entire business." McDonalds said it was selling some of the McCafe beverages in supermarkets in 2018 through a partnership with Coca Cola. The company also announced three new espresso drinks for its own stores. They are Carmel Macchiato, Cappuccino and Americano. They are going to rebrand the McCafe offerings with a new logo and packaging. They are rolling out new coffee makers to nearly all of their 14,000 stores. Jefferies upgraded McDonalds (MCD) saying the partnership with Uber Eats will continue to push sales higher. McDonalds has said their delivery orders have a higher average ticket than traditional on site orders. Jefferies raised the price target from $150 to $200. The company restarted its dollar menu in January and there are $1, $2 and $3 items on the menu. An example would be any size drink or cheeseburger for $1, McDoubles and small McCafe drinks for $2 and Happy Meals and triple cheeseburgers for $3. In their Q4 earnings, sales for all stores rose 8%, up from 7% in Q3. Same store sales rose from 2.7% to 5.5%. That was down slightly from Q3 at 6.0% but still very respectable. Starbucks only posted 2% same store sales and Wendy's 3.4%. Earnings per share rose 19%. Capex spending in 2018 will be $2.4 billion with the majority going to update 4,000 restaurants and update marketing signage. They plan to open 1,000 new stores in 2018. 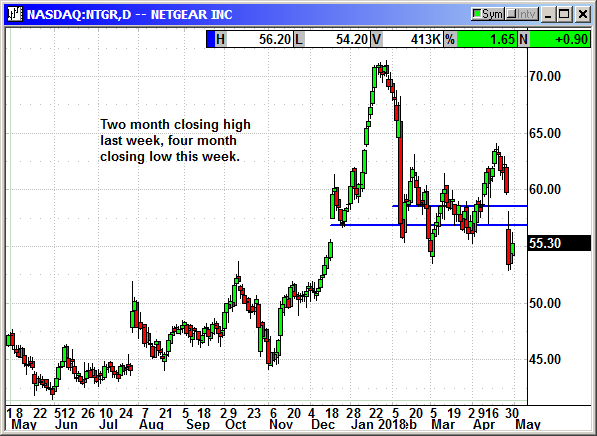 MCD shares crashed with the market in January and then fell again in late February after JP Morgan said the company did not have a "hero" item on the menu to draw people into the stores. Shares rebounded quickly and then ran into the second market correction. Shares were flat over the last two weeks despite the Dow trending lower in a high volatility market. The burger joint was actually positive in Monday's market crash. 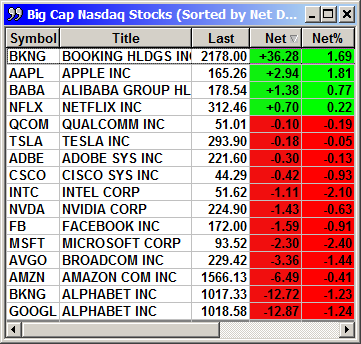 Long May $165 call @ $2.40, see portfolio graphic for stop loss. The company reported earnings of 62 cents that beat estimates for 60 cents. Revenue of $345 million beat estimates for $342.6 million. However, weak guidance tanked the stock from a two-month high the prior week to a four-month low this week. The $10 post earnings drop has killed this option but it is June so we will hold it. 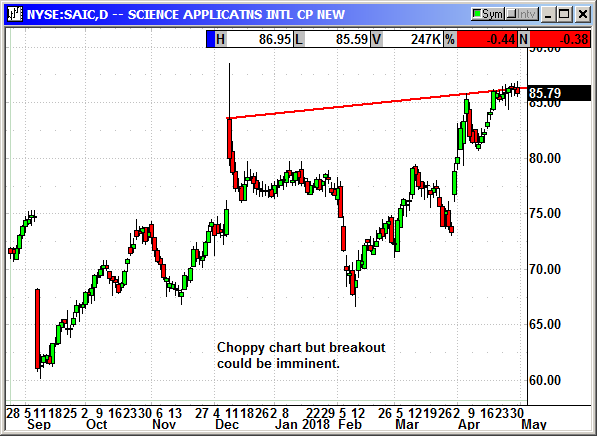 I am dropping it from weekly coverage since it is likely to expire worthless. 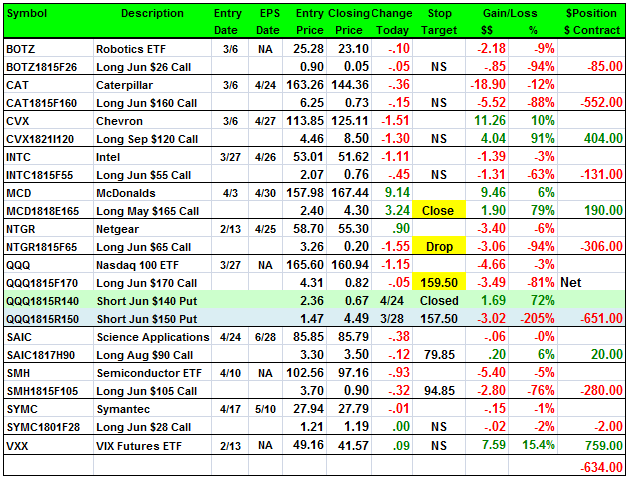 Dropping 4/30: Long June $65 call @ $3.26, currently .20, -$3.06 loss. The Nasdaq is dying thanks to the chip sector implosion and Apple's big decline. I considered closing this position today but a surprise by Apple could energize the tech sector again. No specific news. Still holding at the recent highs despite the weak market. The chip sector remains weak ahead of Apple earnings. Everything depends on Apple this week. Symantec said hacker group Dragonfly was aggressively seeking information on the U.S. electric grid and companies that feed the grid. There will eventually be a cyber attack on our grid. Dragonfly is tied to the Russian government. Volatility is starting to decline and should continue lower if the market would just stabilize. It does not have to rally, just end the 400-700 point intraday moves.